It has been awhile since I have posted; school has been sucking up all of my time. This weekend Jamie and I had a wonderful work-free Saturday. It was a wonderful mix of football and flowers. Jamie and I spent the morning at Leu Gardens (Uncle Bob came too), enjoying the time outside and taking pictures. We occasionally go to gardens in the area just to be outside and play with the cameras. The rest of the day was spent watching football. Southern Miss in the morning, and although they lost, the game wasn’t a complete bust; they weren’t murdered and they were playing Auburn who was ranked 9th. After that we headed to Wing House to watch the FSU game; it was pay-per-view so we figured that we could have dinner and catch the game at the same time. However, we were able to finish dinner and get back to the house before the game actually resumed play; they had a huge rain delay. The game was worth the wait and the $30 spent to watch it- they won 69-0; a real confidence booster for Seminoles Fans. Another game that I will mention, because it makes me happy inside, is the UCF one. Yup, they lost in overtime to USF. I would have preferred them to be killed, but a loss is a loss and I will take it. Just as our day started with flowers, it ended with them as well. 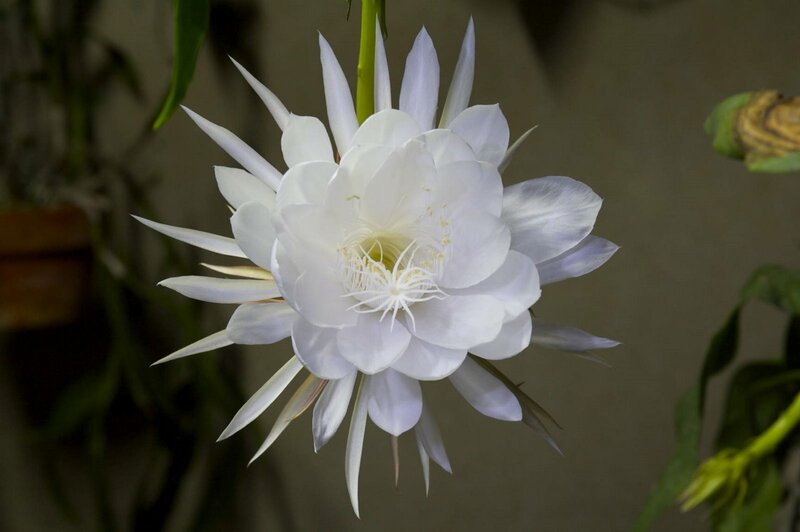 Jamie’s grandpa has a beautiful flower, the Night Blooming Cerius, that blooms for only one night and usually only one time throughout the year. The flowers bloomed once back in August, so we were surprised to see that it was blooming again. 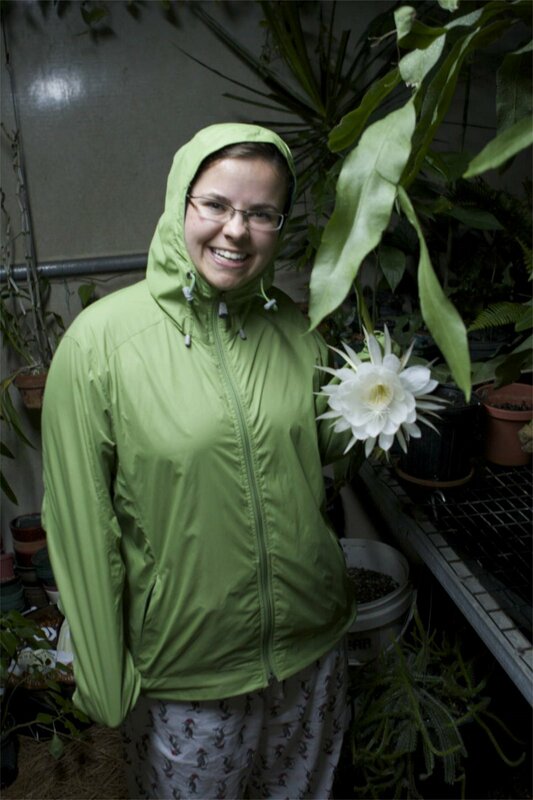 I have attached a few pictures of the flowers along with one of me in my mosquito proof outfit. You can laugh at me but they are ferocious right now!